We used to have water going, mold problems and smell across our basement several years ago. We had spring water going across the floor and we couldn’t stop it. I was doing laundry and I had to put Styrofoam on top of the water just to go and do my laundry. It was that bad. We had been so fed up with the water situation and the fire department coming here. We got a flyer in the mail from Connecticut Basement Systems and a coupon that said so much off which got our attention. 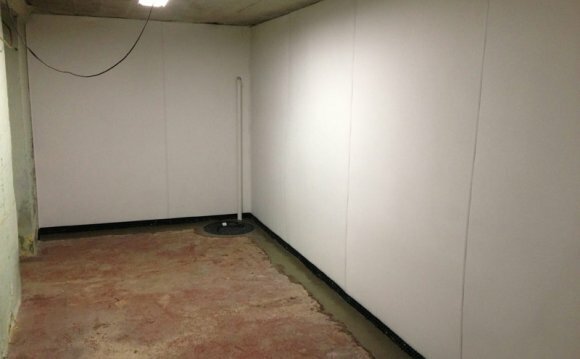 We heard reviews about other people and we decided to go for it because we had no choice so we had the entire floor in our basement done. They even did two pumps instead of one because my husband had designed a pump that he showed them so that water wouldn’t be running in and running the pump all day. It would fill the first pump and then run into a second pump but it never would reach the second pump. So it worked out great. They replaced everything and we paid for two pumps. We even had a cable going across the floor from the tank. And while the floor was getting done, we had that done, too. We couldn’t believe how are they'd stop water in this old house from the 30’s but they did. It really was the most excellent job. Their reps were really good. At first, they were a little stubborn and didn’t want to accept my husband’s idea, but they were paid for and it was done and we never ever heard the pump run. It’s amazing. It just flows out. We have absolutely no mold anymore and no water on the floor. We are just amazed. I could put boots down there and not have them go moldy. We even have a stock shelf down there with groceries on it now. We never could do that before. They taught us to keep the windows closed and not to open them in the summer to let humidity in. For 30+ years, we opened the windows and let all the humidity in. So after we got this whole thing installed, we never opened them again and we used a dehumidifier all summer. They did a great job. They cleaned up and we never ever got a drip of water since they did it. Our most difficult thing was to come up with the money to pay for it but we did. We had to because it was a health situation. It was amazing that it worked. We’ve always had issues with everything else with this old house and this was the first time something really worked.